Our selection of the most beautiful venues in Oxfordshire suitable for accommodating a marquee for a wedding. The Croquet Lawn can host marquees for a capacity of 120 seated guests, with space for a dance floor and reception area. For a reception only, 150 guests may be accommodated. On the Front Lawn there is ample space for larger marquees accommodating up to 500 guests. Rousham is an ideal Oxfordshire venue for wedding receptions, offering a site to pitch a marquee together with acres of landscape and formal gardens that can be used for photographs and pre-reception drinks. We provide the venue for a fabulous wedding, where over 100 guests can enjoy champagne and Pimms in our picturesque courtyard, followed by a sit-down buffet, evening hog roast, live band and dancing into the wee small hours in a beautiful marquee situated in our large garden, with direct tented access from our bar area. Set in mature and ancient parkland, Shelswell Park provides a tranquil setting for your wedding reception or event with stunning views and a beautiful lake. Offering uninterrupted space and privacy, it has easy access to major roads and is only 10 minutes from the M40 and an hour from London. Aynhoe Park is not a hotel. Aynhoe Park is a spectacular 12 bedroom private house embodying British eccentricity at its best, just one hour from London. Available exclusively for private hire, for weddings, for parties, for long or short stays. For a night, for a week, for two people or for two hundred, join the few who know its secret. Our Jacobean Manor House set in picturesque surroundings affords stunning photo opportunities plus the benefit of unlimited car parking. Our relaxed and flexible attitude means that you may use a marquee, your chosen caterers and florist. 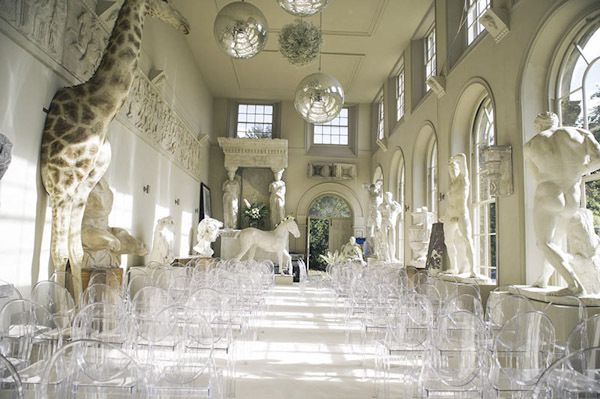 A hidden delight situated in the heart of Oxford, Rhodes House is a beautiful venue steeped in history. Ideal for weddings, photo shoots, business meetings and events, Rhodes House can now be yours for the day.